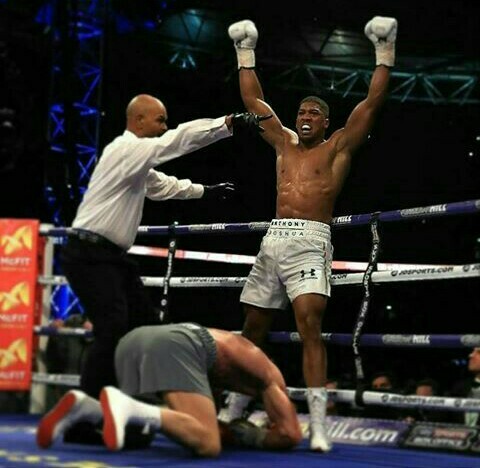 Anthony Joshua added the WBA belt to his IBF title with an 11th-round stoppage of Wladimir Klitschko in a thrilling fight on Saturday. Joshua was knocked down in round six but twice had Klitschko on the canvas in the penultimate round before the referee stepped in. Not only did the 27-year-old retain the IBF World Heavyweight Championship, Joshua remains undefeated as a professional, with 19 victories. The bout which made history as one of the biggest fight nights in boxing history drew a record post-war British boxing crowd of 90,000 at Wembley. Any talk of Anthony Joshua versus Tyson Fury may have to be shelved for a bit, as Klitschko has a rematch clause to fight Joshua again.